Sandeepananda Giri, who is also the director of the ashram, said he faced threats after he supported the entry of menstruating age to the Sabarimala temple. Two cars and a scooter belonging to Swami Sandeepananda Giri's School of Bhagavad Gita were set on fire. An ashram in Kerala, founded by a preacher who supported the Supreme Court verdict allowing the entry of women of menstruating age to the famous Sabarimala temple, was attacked by unidentified persons early this morning. 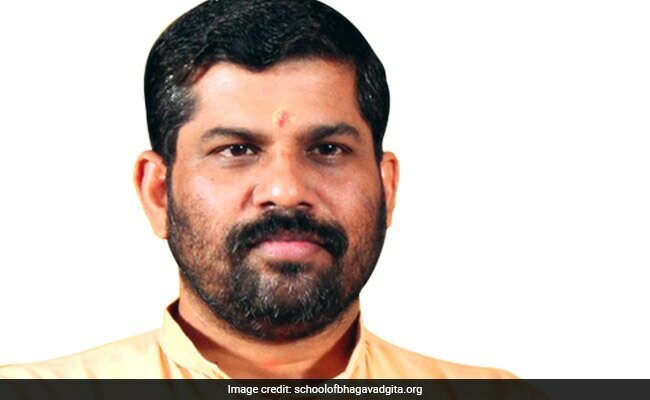 Two cars and a scooter belonging to Swami Sandeepananda Giri's School of Bhagavad Gita on the outskirts of Thiruvananthapuram were set on fire at around 2:30 am. The attackers also put a wreath in front of the hermitage. Police have registered a case and are on the lookout for the attackers. Kerala Chief Minister Pinarayi Vijayan, who visited the ashram this morning, condemned the attack. "Physical attacks happen when you can't deal ideologically. We will not allow anyone to take law and order in their hands.Those who are intolerant towards Swami's activities attacked his ashram," Mr Vijayan said. 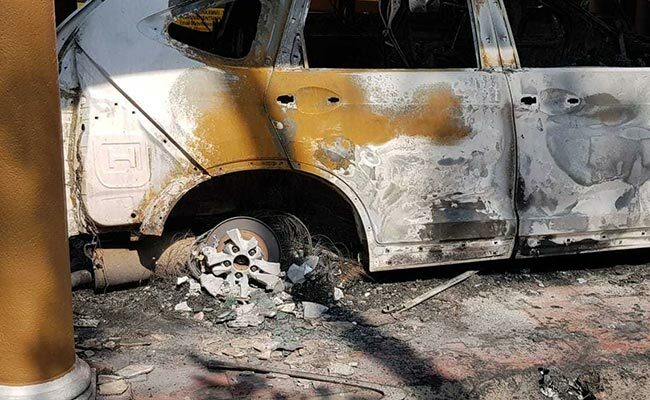 Two cars and a scooter were set on fire at the School of Bhagavad Gita in Thiruvananthapuram. When asked if he believed the Sangh Parivar was involved in the attack, Sandeepananda Giri said, ""Yes, Sangh Parivar. No doubt about it." The local BJP unit has denied any role in the attack and demanded an "unbiased" probe into the incident. Sandeepananda Giri, who is also the director of the ashram, said he faced threats after he supported the entry of menstruating age into the hill shrine. He said he was physically attacked in the past and had complained to the police. The attack on the ashram comes amid a massive crackdown on protesters who prevented women from entering the Sabarimala temple after it opened for five days this month during which violence and protests around the hill shrine were witnessed. Over 2,800 people from across the state have been arrested and 495 cases have been registered. BJP chief Amit Shah condemned the arrests. "The Left government in Kerala has misused the Sabarimala issue. They have used it to arrest workers and supporters of the BJP and other political parties. They have jailed thousands of party workers," said Mr Shah, addressing a rally in Kannur. Sandeepananda Giri is the founder and director of School of Bhagavad Gita in Thiruvananthapuram. The Kerala High Court, while hearing a petition filed by two people on the police arrests in the case, cautioned the state government, asking them not to "play to the gallery". The court said arrests should be made after proper investigations on the involvement of the person in the protests. The court also warned of "heavy consequences" if innocent people are arrested. Kerala's most senior police officer, Loknath Behara said strong action would be taken to bring the people behind the ashram attack to book. "We will not tolerate such incidents in the state," he said.